Ministers from nations imperilled by rising seas and temperatures on Tuesday called for drastic action at UN climate talks deadlocked over a refusal by big polluters to embrace landmark environmental data. The COP24 summit in Poland is scheduled to finish at the end of the week but delegates are still worlds apart when it comes to agreeing on a rulebook making good on the promises nailed down in the 2015 Paris climate accord. Tuesday saw ministers begin to put forward their country’s case for action, with several from small island states threatened with oblivion pleading for progress. “We all need to act now and fast, but I must stress it requires a strong political will by us leaders,” said Taneti Maamau, president of Kiribati in the Pacific. The Paris deal committed nations to limiting temperature rises to well below two degrees Celsius (3.6 Fahrenheit) and beneath the safer cap of 1.5C if at all possible. But in the three years since, greenhouse gas emissions have continued to rise and there are fears the political will to act is waning. The talks were thrown into tumult over the weekend when the United States, Saudi Arabia, Russia and Kuwait blocked a proposal from 44 small island nations for the UN body to “welcome” a recent UN report that drew the starkest climate picture to date. The four nations disagreed with the motion, and proposed that the UN climate body simply “note” the report, rather than “welcome” it. This added yet another hurdle to the already painstaking negotiating process. A draft summary of the concluding COP24 text seen by AFP suggests nations “acknowledge the report and/or its quality” and invites them “to use the information in the report” — far from what the at-risk countries are demanding. US President Donald Trump, who said last month he did not believe his own government’s climate change predictions, has said he will renege on the Paris pledges. But the US is still part of the UN climate process as its pre-standing commitments last until 2020. The situation was so sensitive that UN Secretary General Antonio Guterres made an unscheduled return to the talks on Tuesday as he was “concerned about how the COP was going”, a UN source told AFP. 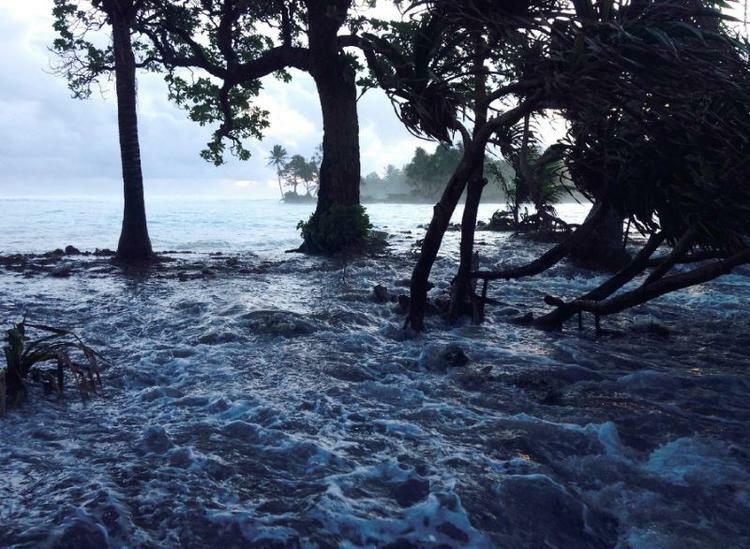 “Science has provided unequivocal evidence to prove we can avert this dire situation and achieve a 1.5C scenario for our planet but we need selfless and visionary leaders with the political courage and conviction to act together now,” Samoan Prime Minister Tuilaepa Sailele Malielegaoi told delegates. Patricia Espinosa, the UN’s climate chief, said Tuesday that “many political divisions remain”.